On Sunday, two hundred Ford history fans and descendants of Ford Piquette Avenue Plant workers gathered at the 114-year-old facility in Detroit to commemorate its proud place in automotive history. The building, which was the first built and owned by Ford Motor Company, served as the birthplace of the iconic Ford Model T, after it produced a whole series of earlier Ford “Alphabet” cars: Models A, B, C, F, K, N, R, and S. It became a museum in 2001, after flirting with demolition in the late-1990s after being left in a rough state. Sunday’s event – “Ford Piquette Heritage Day” – was also the Piquette Avenue Plant’s first opportunity to recognize the Porter family and the Larry D. Porter Artifacts Trust for their contribution of a collection of the original Alphabet cars. The cars had previously been at the Antique Automobile Club of America Museum in Pennsylvania on long-term loan, making the move to their rightful place in Michigan late last November. Nor would most of the attendees, many of whom had grandfathers who worked at the plant. The Detroit Free Press spoke to two such descendants of Piquette Plant workers, siblings Joseph and Louanne Offer, whose grandfather Louis A. Albemi worked there as a draftsman, designing the chassis for early Ford cars – including the Model T. Each still has a copy of the original blueprints their grandfather helped make. 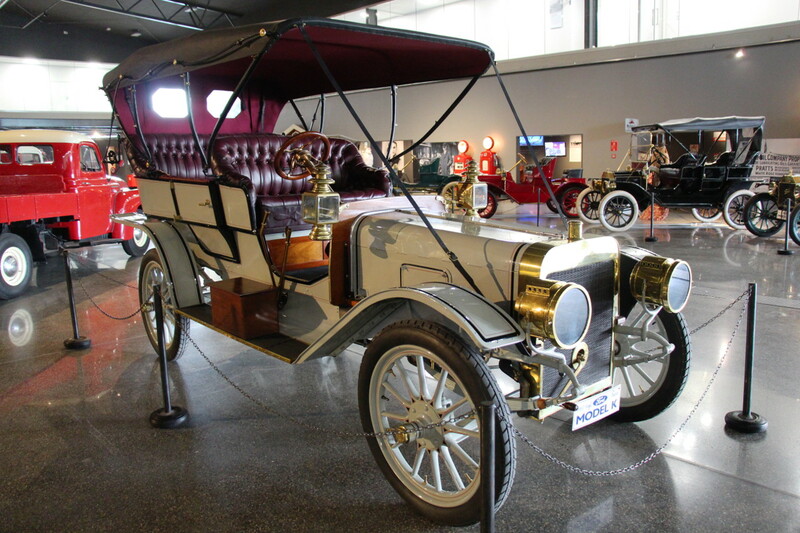 Albemi worked closely with company founder Henry Ford as his third automotive company grew from a fledgling enterprise into an industrial behemoth. “Henry knew some of his employees personally and brought them on his journey as his company grew,” Louanne Offer says. Henry Ford first got to know Albemi when, as a Michigan State University student, he sent numerous letters to the automotive tycoon. The Piquette Plant draftsmen went on to become the first dean of engineering at the University of Detroit – now University of Detroit Mercy.